If you recently suffered from an experience that left you with an injury, it is likely you want to find a solution so you obtain relief from any pain or discomfort you have. Contacting our Chiropractors at Back In Motion Physical Therapy & Spine Center in Spring Grove or Johnsburg is an option. Here is some information about the benefits of Physical Therapy, and how a visit with Sonia Kwapisinski can help. 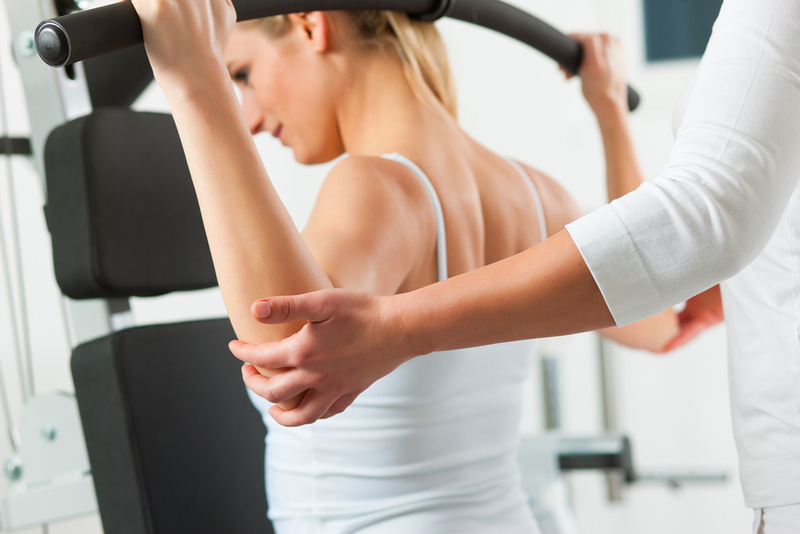 Physical therapy is the rehabilitation of muscles and ligaments in an attempt to regain strength. When portions of the body are traumatized from an injury, they are not used as much as a movement will cause pain or discomfort. Under the direction of a chiropractor, moving the body parts around will help to gain strength without causing additional injuries to other parts of the body in the process. Physical therapy actions are done without the use of medication and are non-invasive in nature, making them great alternatives to other methods of treatment as they are natural and will not cause side-effects. There are several different scenarios that can happen when an injury takes place where physical therapy can aid in reducing discomfort. Localized shoulder, neck, or back pain can be treated with spinal adjustments as well as an exercise regimen. Concussions and other head injuries may require massage, stretching, and temperature therapy tactics. Some people find that pain in extremities reduces with an extensive stretching schedule. Our chiropractor will do an assessment of your injury and tailor a plan for remedying it as needed. Pain in the body requires monitoring of your range of motion as well as exercises, stretches, temperature therapy, or electric stimulation. Many find that massage also works well at remedying pain in affected areas. Manipulation of the muscles using gentle movements often helps to reduce pain quickly. This reduces the amount of stress upon joints in the body, encouraging circulation of the blood and promoting the possibility of quicker healing. In addition, a physical therapist can recommend dietary changes or alterations to the lifestyle to help minimize pain. If you are suffering from pain or discomfort from an injury, and you are looking for help, consider calling our Chiropractors for assistance. Reach out to Back In Motion Physical Therapy & Spine Center in Spring Grove or Johnsburg and make an appointment with Sonia Kwapisinski and our Physical Therapy team. Call us today at (815) 675-0699 to find out about scheduling availability to ask us questions about the physical therapy processes we use in-house.